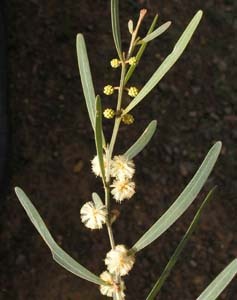 Acacia stricta has long, but not very wide phyllodes. The phyllodes have only one main vein. 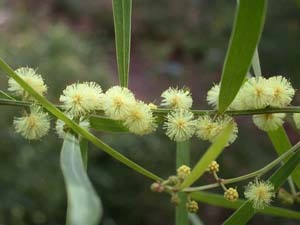 The flowers are in solitary, globular heads. It is common in dry areas.